‘Jula’ means ‘vivid and joyous light’ in the Uyghur language, symbolizing the yearning of true love and good fortune of the Uyghur people. Jula is also known as a musical form from ‘the Twelve Muqam’, a famous suite of twelve sections of classical Uyghur folk music. Originating from the oasis alongside the Silk Road, the Twelve Muqam is a large canon of music and songs created by ancient Uyghur musicians. With a hint of Arabic style accompanied by exotic songs and dances, it has profoundly influenced Eurasian and North African music. On May 16th, 2005, the Twelve Muqam was designated as part of UNESCO’s World’s Intangible Heritage of Humanity list. The music in this repertoire comes from the Jula theme of Ussaq, the 8th Muqam. The Ussaq Jula is the most well-known amongst all twelve Jula themes due to its unique, dance-like musicality. The choreography emphasizes the dancer’s delicateness and grace by utilizing sculptural movements that possess enormous inner power. In this dance, Dongmei abandons all unnecessary decorative techniques in order to retain the originality and tranquility of the dance. Jula comprises of Grande Senem and Petite Senem. The Grande Senem is longer and more significant; therefore, people usually refer to Jula as the Grande Senem. In Uyghur, the word ‘Senem’ means ‘muse’, ‘goddess’ and ‘beauty’. It is also a famous name for girls. To choreograph this dance, Dongmei travelled extensively in the Uyghur habitant to learn and categorize the local dance pieces. 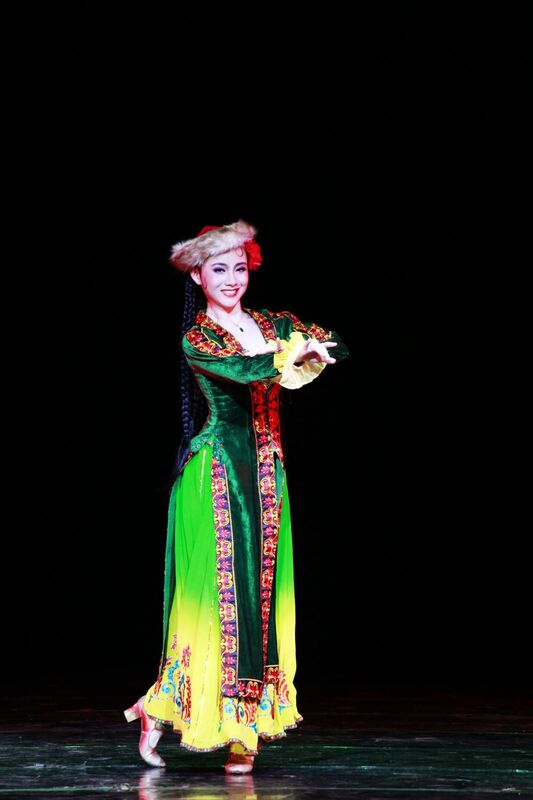 Her Master thesis, Ussaq Jula- a Study on the Traditional Uyghur Dance was also based on the materials she has collected.